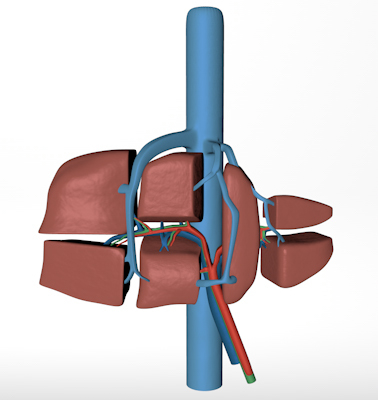 Liver transplantation is the only potentially curative treatment for end stage liver failure. The United Network for Organ and Tissue Sharing (UNOS) reports that there are more than 15,500 patients waiting for liver transplants in the United States. There are not enough deceased donor organs for the number of patients waiting, and about ten percent of patients die on the waiting list each year. More than 1,400 patients waiting for liver transplants are in New York. New Yorkers wait longer for a transplant and are sicker at the time of transplant than many other regions of the United States. Timing of transplantation can be controlled, without a prolonged period on the waiting list. Some patients with liver tumors, cholestatic diseases, or certain blood types may benefit from live donors compared to deceased donors. Live donor transplant success rates are equivalent to deceased donor success rates. At Montefiore, our success rate over 90% for recipients of live donor transplants. Live donation may be beneficial for pediatric patients, who are disadvantaged because of the lack of suitable size matched deceased donors. Before LDL, 25% of children died on the waiting list. LDL accounts for 10 percent of pediatric liver transplants in the US. Has a one-year recipient survival of 90 percent and a five-year recipient survival of 80 percent. Live donor transplantation increases the pool of transplantable organs for everyone, allowing more patients to benefit from a lifesaving transplant. Potential donors undergo a thorough medical and psychosocial evaluation and educational process to ensure that donation is safe. Donors must be adults who are willing to donate without coercion. Payment or financial remuneration for donation is a federal offense.